Well, this begins the series of posts about our Europe trip! Overall, it was a fantastic trip. In retrospect, we realized it was basically backpacking through Europe. 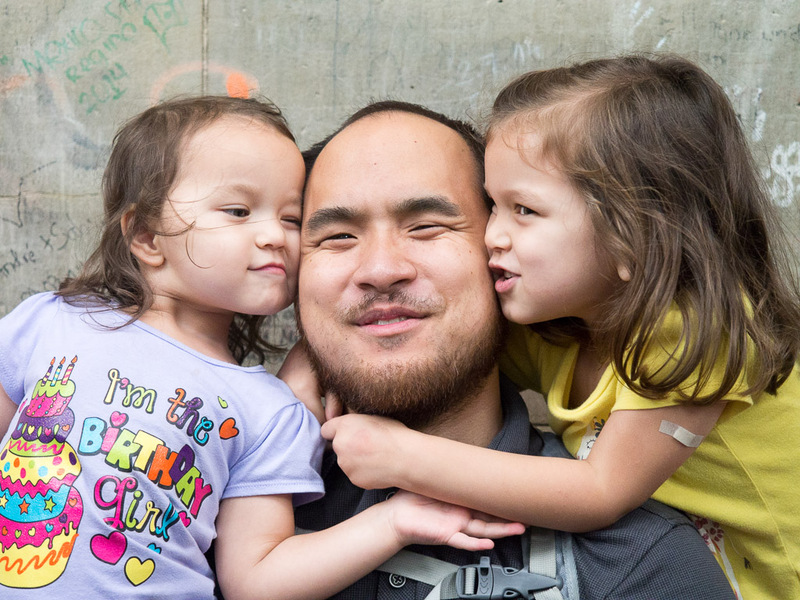 With two preschoolers. So that was a little crazy. But it was a blast! Our first stop was Germany. We got to spend several days visiting my family's former exchange student who lives in Cologne. 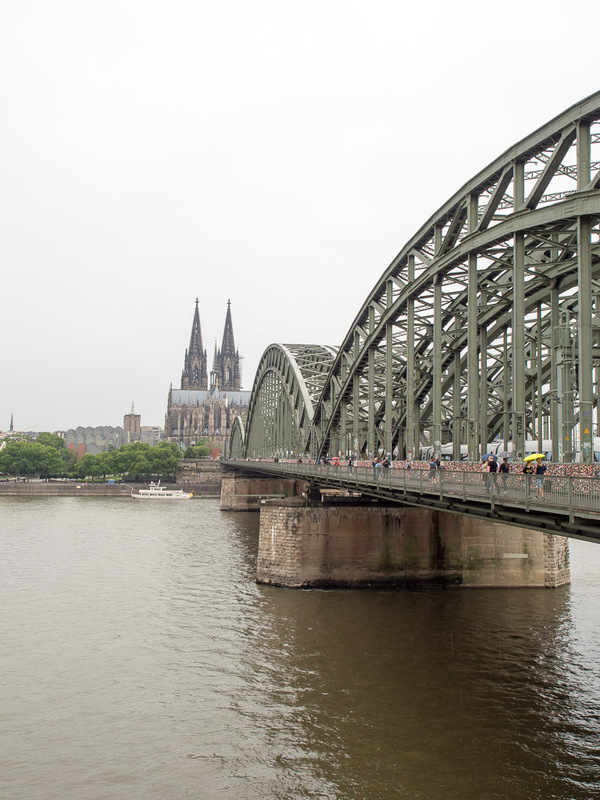 This was my second time to Cologne (I'd visited her before), but of course every one else's first time. But the nice thing is that last time I came, something happened to my camera on the way home and all my picture files got corrupted. So it was nice to get to take the pictures again, 11 years later! Since we have been reading Heidi as a way to build anticipation for the Switzerland part of our trip, M was inspired to climb to the top of the Cologne Cathedral, just like Heidi climbs to the top of the Frankfurt one. Even E made it almost the whole way on her own two feet. We made it to the top of the cathedral! 509 steps! It was also wonderful to see our exchange student's family again! Although she has been to see us in the States several times in the last decade, I hadn't seen her family for that whole time. They were wonderful hosts, bringing us to see all the sights and sharing traditional food with us. Also, since there are grandkids in the family now, everyone did really well with the kids! Getting a story from grandma while waiting for food in a traditional Cologne restaurant. We also got to spend a morning playing at their neighborhood park with our exchange student's niece, which was probably the kids' favorite part. All the playgrounds we saw had sand under the play structures, which made for a much messier play time. But the kids thought it was awesome! Germany was wonderful, just as I remembered! Good company, beautiful buildings, fun food, delicious chocolate. What a great place! In fact, writing this makes me miss it so much that I just had to munch on a chocolate snack that we brought back home with us. 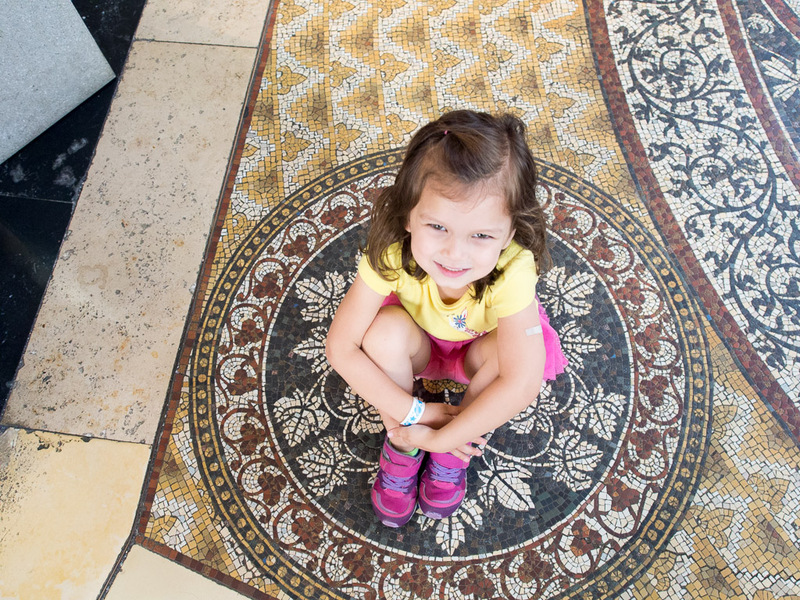 The kids enjoyed the art at their level: mosaics on the floor in the Cathedral.